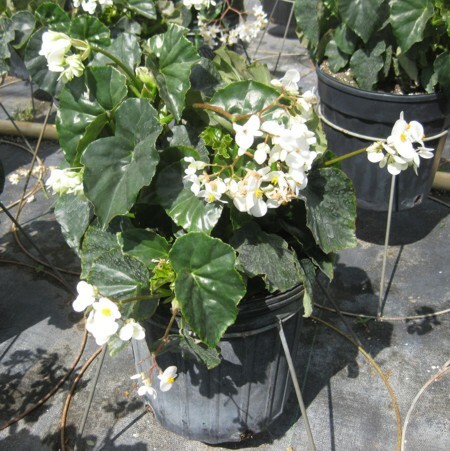 Begonia 'Alba' Odorata - Brad's Bedding Plants, Inc. This begonia is noted for its ability to handle strong sun, while doing just as well in the shade. It features white flowers with a delicate fragrance and glossy green foliage. Grows up to 3’ tall and 3’ wide.